Study of objects for the Isthmia publications by members of the University of Chicago Excavations continued throughout the year. Their reports furnished the information summarized below. The project is indebted to Jean Perras for her continued, valuable support as site administrator. 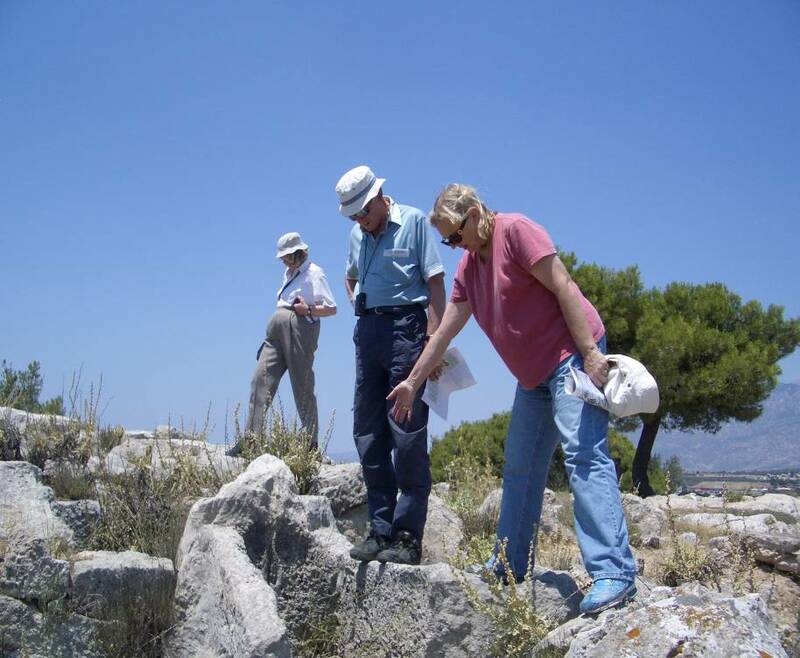 During the year the Λ Ζ (37th) Ephoreia of Prehistoric and Classical Antiquities of the Hellenic Ministry of Culture began a long-term project of remodeling the Isthmia Museum and conservation of the archaeological site, under the direction of the Ephor, Alexander Mantis, and Archaeologist, Vassilios Tassinos, with funding from the European Fund for Rural Improvements and Third Community Support Budget. Selected plans were prepared by Clary Palyvou and Sonia Mavromati We have enjoyed close cooperation between the two projects and look forward to working with our Greek colleagues on renewal of the Museum exhibits during the next two years. Over 44 separate shields were identified among the debris from the Archaic Temple of Poseidon, that was destroyed by fire in ca. 450 B.C. Included was an almost full-size bronze replica of a hoplite shield, which perhaps belonged to a statue or served as architectural decoration. Irena Marszalek.under the direction of Dr. Jackson drew the delicately incised and repousé decorations on the shield coverings. 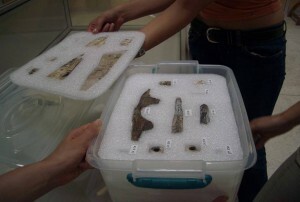 Weapons from the hero shrine (“West Foundation”) along the Corinth road west of the sanctuary were drawn and studied with attention to Corinthian and Macedonian parallels. In the sanctuary, projectile points that clustered around the East Gate and Northwest Temenos may date to the attack of Agesilaus in 390 B.C. or to the Roman raid in 198 B.C., or even to military events in 146 B.C. Sources: Similarities among the drinking vessels suggest that a few specialized, local workshops may have produced dining pottery for the sanctuary, perhaps under some type of agreement. Or the cups and kotylai could have been purchased in sets for use at the sanctuary. The Attic wares appear also to have come from a selected group of workshops, and some vessels could have been shipped at the same time. Types: Kraters, previously thought to be in short supply, were identified, and plain and coarse ware bowls that could have been used for mixing wine. Ritual use? : The holes in the center of a few kotylai/skyphoi may reflect their use in ritual. Date: Much of the material clusters around the second quarter and middle of the 5th century B.C. It thus seems likely that the reservoir was filled with debris after the temple fire of ca. 450 B.C., a suggestion supported by the metal objects from the same context. Of the drinking vessels 52.5% by weight MAY belong to the period ca. 550-450 B.C. ; 41.6 % MUST be post-550 B.C., with 3.8 % from earlier periods. The imported drinking vessels form 2.2% of the assemblage and all were made after ca. 550 B.C. Description of the architecture of the North Building and Houses I-XXI was completed with an account of the associated stratigraphy, archaeological deposits, and artifacts. Study of the character of rooms and courtyards confirmed the presence of oil production, bee-keeping, and activities associated with daily living. The site plan was up-dated and work began on an actual-state plan of each house, with reconstructions and sections to accompany tables of objects. Conservation was undertaken on vats, water tanks, floors of olive presses, tubs, house floors, drains and numerous cisterns, that had deteriorated since excavation. 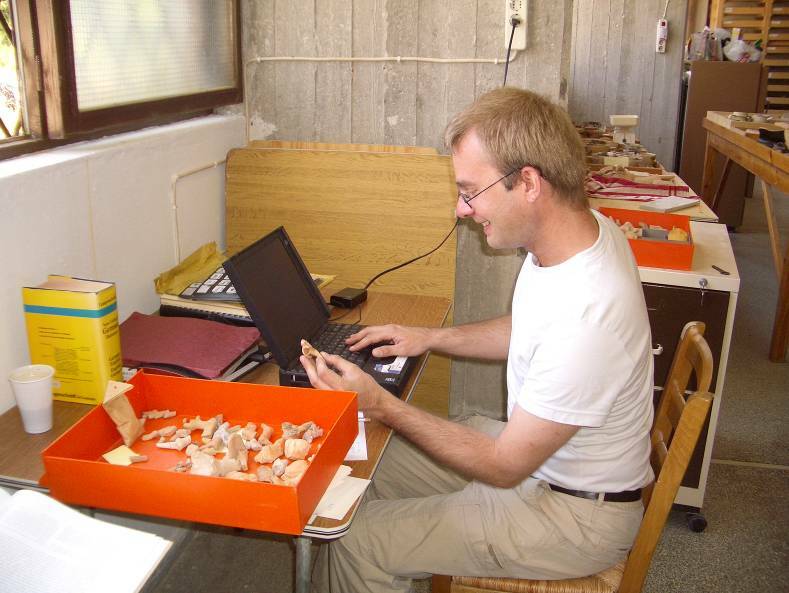 After the retirement of Professor David Mitten from the Isthmia project Arne Thomsen has undertaken study of the terracotta figurines for the Isthmia publications. He devoted his initial season to updating the documentation. 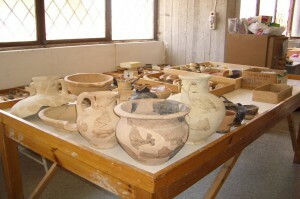 Twenty-two objects were added to the catalogue. New joins, identifications, and comparisons with examples from the Rachi Settlement contribute further information on the production of dedications for the sanctuary. Drawings were made and the inventory up-dated in preparation for submitting the completed manuscript. Grinding equipment for food production predominated. The saddle querns, hopper mills, grinding slabs, pestles, and rotary querns came, for the most part, from mixed fills containing material predominately of the Classical and early Hellenistic periods. The location of most deposits close to the Temple of Poseidon suggests that in the Archaic and Classical periods food was prepared in the vicinity. The dining area appears to have lain southwest of the temenos. Tools included ten masons’ floats used in smoothing the stuccoed surface of poros architecture. Four game boards will have provided entertainment. 216 photos were taken for publications of Classical, Roman pottery and Terracotta figurines.